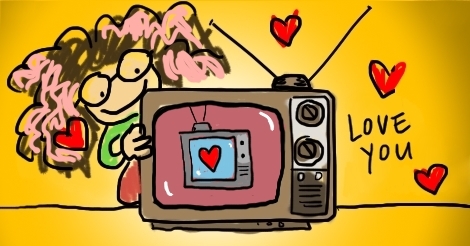 While other things you share with a loved one can fail, TV will always be there. While sports can disappoint you with trades, finding out everyone beats their wives, and learning that repeated concussions are doing things to their brains that your wildest nightmares didn’t dream up, there will always be something new on television to watch. A favorite romantic spot could be sold, paved over, or turned into an Amazon popup, but TV will still be there. Your reactions can vary and you can adhere to strict moral codes or arbitrarily excuse any behavior for reasons you can explain or not. Watching TV doesn’t have to have the same level of serious consideration as the rest of life − or it can! It’s up to you! Some people dismiss TV as a superficial waste of time, but we know better. The kind of bonding you experience over TV is in no way less than other kinds of bonding. Any relationship can be strengthened over any shared moment! Here are some ways to spend some quality time together with television as your third-wheel. Have a show that’s for you two. Only watch it together. If you have to wait for them, do it! While it may already be a sitcom trope or even a device on bad commercials, you don’t want to let your partner down by watching the show ahead of them. It’s a jerk move! Whether you watch your show in a week or share it over a lifetime, it’s yours. Near, far wherever you are, TV can be there too. Indulge in the classic tradition of syncing a show you love while apart. You can chat online while you stream a show together or stay on the phone while you laugh through a sitcom. Phone calls are very 2000 but you do you. 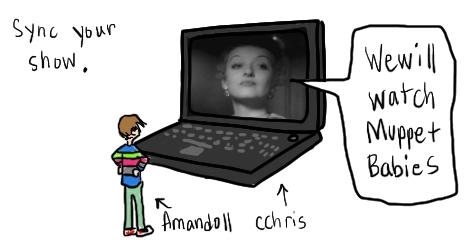 So, whether you’re apart for a few hours or a few months, you can still take comfort in watching your show together. That special show! It may be a painful situation to have to sit there and hear someone talk about what they think will happen in whatever popular show you aren’t following. Those are unbearable social encounters. But when it’s you and a loved one about the latest episode you’ve shared, it’s great. It can fill hours, days of your lives. What will happen to your show? Your people? Once it’s over, and you’ve watched all there is to watch, feel free to quickly reverse course on your opinions of the show. Is someone else watching it that tries to talk to you? Are people gathering around to laugh about it? Is it having some sort of fan renaissance online? Whatever, dude, that show was so last year.